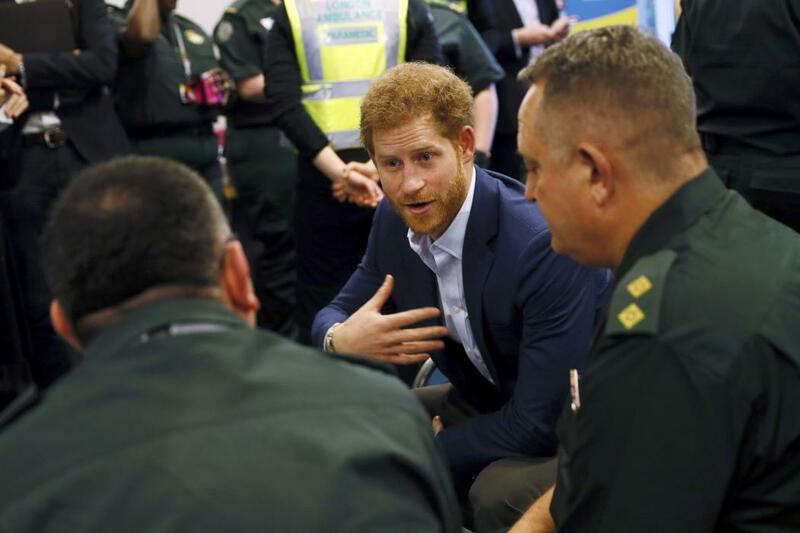 Prince Harry has visited the London Ambulance Service to help kick off this year’s Time to Talk Day, as part of the Heads Together mental health campaign. The annual awareness day is run by charity Time to Change and is aimed at getting the nation talking about mental health. The theme of this year’s Time to Talk Day is "conversations change lives". Prince Harry champions mental health campaign Heads Together with The Duke and Duchess of Cambridge, supported by the Royal Foundation. His Royal Highness started the day at the London Ambulance Service, one of many workplaces around the UK committed to promoting mental wellbeing of the workforce and who run a Time to Talk Day event. 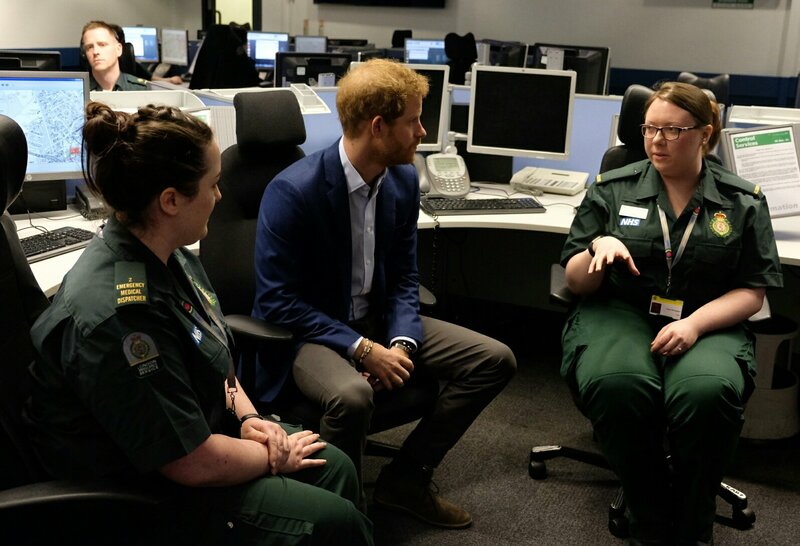 During his visit Prince Harry spoke to Alexandra Turp, a 999-call handler and Katie Shrimpton from the service's supporter network LINC. They had a conversation with His Royal Highness around the work they do and their own mental health. 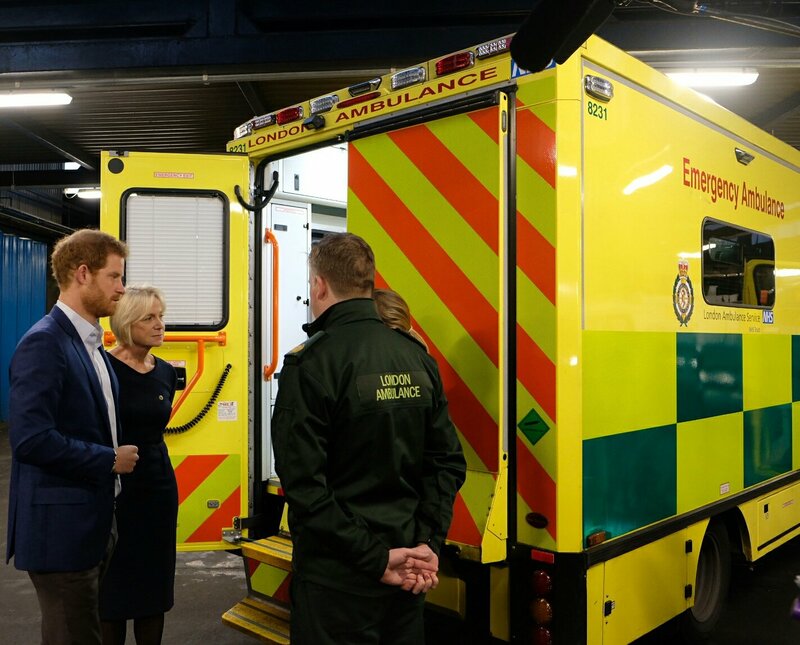 In the ambulance garage at the centre in London Prince Harry met paramedia Sue Trow and her supervisor Peter Rhodes. There they discussed how those on the frontline of the service deal with mental health issues and why it's important to get help. Finally Prince Harry met different groups of ambulance crew who shared their stories around the work they do and how they cope with mental health problems. His Royal Highness was also given a demonstration of the Time to Talk conversation tracker which aims to get people to log the mental health chats they are having with each other. They say this helps to reduce stigma and discrimination. In January 2017 Prince Harry and The Duke & Duchess of Cambridge outlined their vision for the Heads Together campaign for 2017 at an event in London.